The first shoe factory in Desborough was opened by Benjamin Riley in 1868. 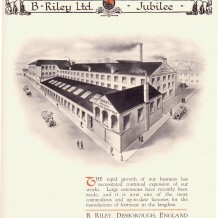 Riley had previously moved a large number of workers from his base in Coventry to set up silk weaving factories in Desbourgh, Rothwell and Kettering. With a change in fashion in the 1860s, the silk trade declined. 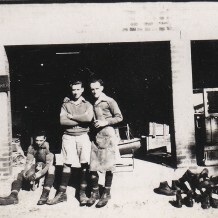 Riley had the vision to turn his production to footwear converting his machinery and retraining his workforce. 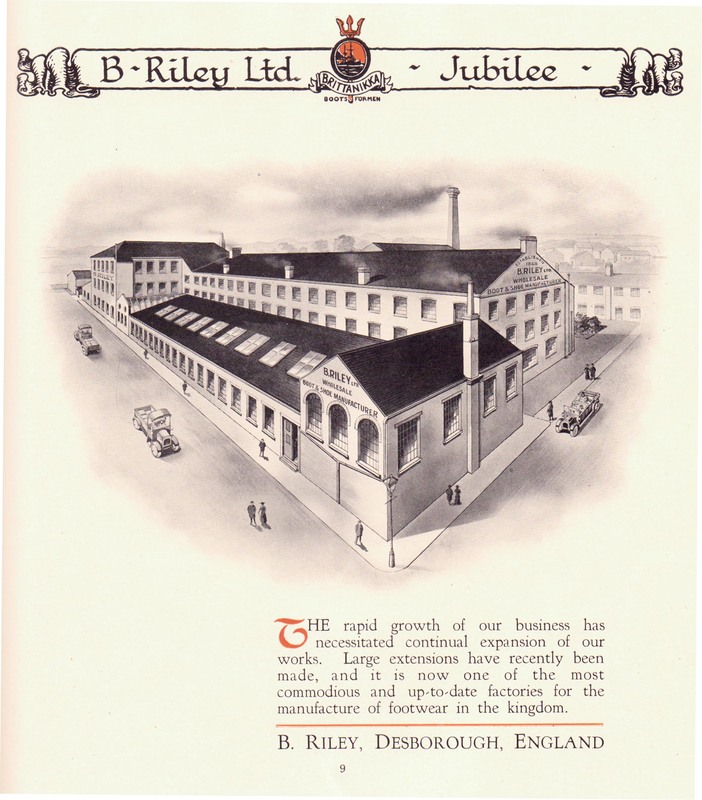 Joseph Cheaney had been the factory manager of Riley, but in 1886 established J. Cheaney, Boot & Shoemakers in a small premises in Station Road. There were around seven shoe factories in Desborough at this time, and in 1890, Arthur Cheaney joined his father’s company. In 1896, the business moved to the site it still occupies today in a purpose built factory to house all aspects of shoemaking, from the cutting out of the leather (clicking) to the final polishing. 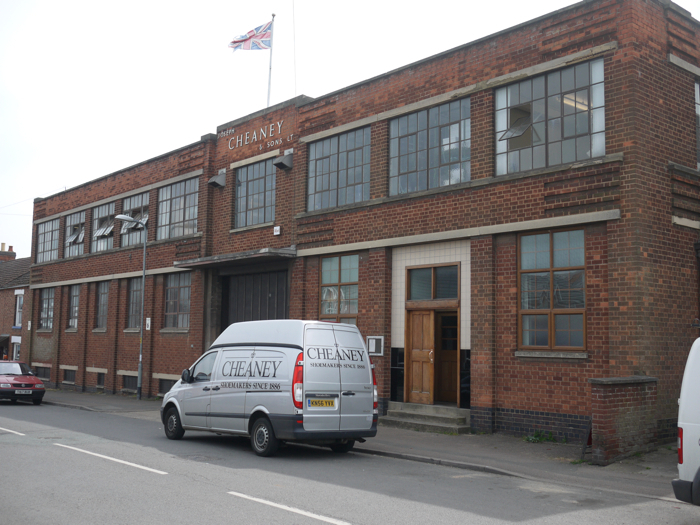 Although some manufacturers now outsource the initial production of the uppers to the Far East, Cheaney shoes are still made entirely in Desborough, as they have been since 1886. Other businesses thriving in Desborough today such as Rigid Containers grew to serve the delivery and export of the area’s shoe manufacturers through Desborough Rail Station.